Ecobuzz have released an excellent short video of the launch of our 2010 Climate Challenge. 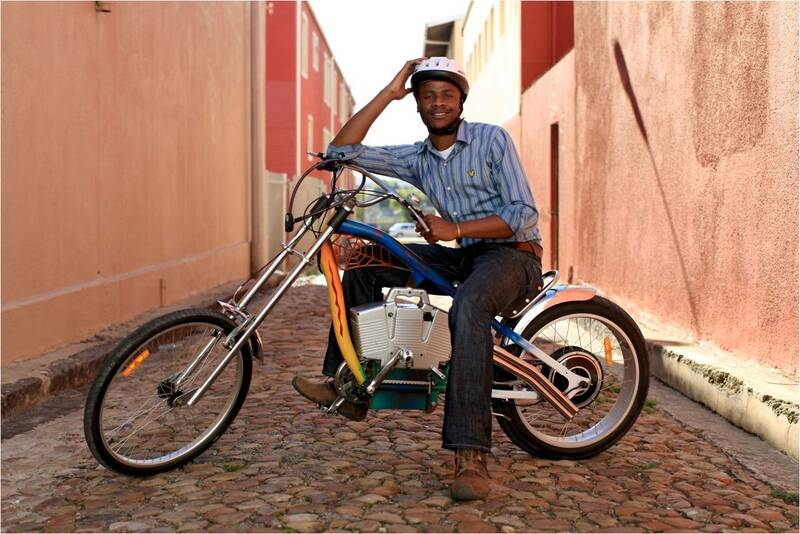 Seven dedicated Project 90 cyclists joined the Bicycle Empowerment Network Redhill Charity Challenge on 23 May in Simonstown. Between them the team managed to cycle a total of 290 km up one of the biggest hills in the Cape. BEN Red Hill Charity Challenge from ecobuzz on Vimeo. As you may know, I sent a letter of complaint to Associated Magazines and Nedbank regarding an article in ‘Woman on Wheels’ that paints a very inaccurate picture of the role that cars play in the environmental damage they are causing. I received a response from the author, Charleen Clarke (see below) but she has completely ignored my points illustrating how cars contribute to pollution and climate change. However, you will be very pleased to know that Associated Magazines have asked me to send them our position on motoring and an opinion piece and have also requested to meet with Project 90 to discuss how we can input into next year’s edition of ‘Woman on Wheels’ . 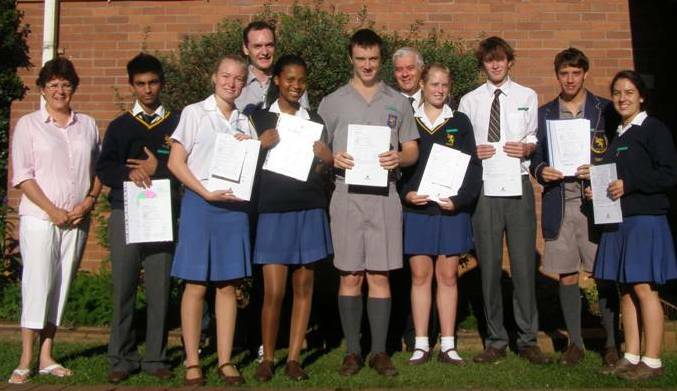 We have yet to receive a response from Nedbank who were the official sponsors of the magazine. We’ll keep you posted. Thank you very much for your feedback on the ‘Little Green Monsters?’ article I compiled for the 2010 edition of Women on Wheels (WOW). This year WOW increased its focus on environmentally friendly motoring, with the inclusion of a special ‘Green Car’ section in the annual Women’s Car of the Year Awards. This new section sends a clear message to manufacturers that WOW recognises the importance of environmentally friendly cars. WOW also addressed amongst others the issue of green motoring and asked the question whether cars are indeed environmentally unfriendly. I am confident that my article, ‘Little Green Monsters?’ highlighted the fact that cars are not single-handedly destroying the planet. Over the past year I’ve attended a couple of conferences where the motoring industry got together to debate the issue of sustainable development in the motoring industry. One thing is clear and that is that many manufacturers are serious about the environment and that they are working on ways to make cars more environmentally friendly. We will most probably again include a green article in next year’s issue and hope that your organization will form part of this by submitting comment and helping us spread the word on environmentally friendly motoring. Below is the letter of complaint written to House and Leisure & Nedbank – who sponsored the magazine. I am writing to complain about an article entitled “Little Green Monsters” in the Woman on Wheels magazine which I received free with the July issue of House and Leisure. Neither the magazine itself, nor its associated website has any email contact information for that magazine, so there is no way that I can complain directly to them. This would seem to be an oversight. Ms Clarke attempts to reveal this through a series of factually incorrect statements, vague misrepresentations and unsubstantiated evidence. She paints a very inaccurate picture of the role that cars play in the environmental damage they are causing. “Planes that land at Heathrow during a single morning consume more fuel than all the Formula 1 cars have used since races started in 1950”. Whilst I am not disputing her facts, this makes no sense as an argument. People who are opposed to car pollution on environmental grounds are ALSO opposed to profligate flying. Environmentalists are concerned about ALL fuel consumption, and just because cars consume less than aeroplanes doesn’t make them any better. It’s like being on a diet and saying that because doughnuts have less calories in them than chocolate cake it’s OK to eat as many as you like. This is in fact a scary statistic and gives us all the more reason to cut down on flights too. However, Ms Clarke seems to have missed that point completely! What exactly does he mean by “the sustainability problem”? This is very vague and as far as I am aware the chief designer at Rolls Royce is not a scientist of any kind. I will assume that he means that cars are responsible for 10% of global carbon emissions. In any event 10-12% of any problem is actually a rather big number, and if this is in terms of global carbon emissions this is HUGE – especially when considering that most people in the world don’t even own a car. (China has eight vehicles per thousand residents; Brazil has 122, Western Europe 584, and the US 950). The article suggests that cars are only responsible for an eighth of climate change, so let’s not worry about that then? Ms Clarke then states that cars are not necessarily the environment’s nemesis due to the fact that buildings are responsible for 60% of the problem. Again, I am not quite sure what she means by “the problem” but I will assume that she is referring the percentage contributed by buildings to global carbon emissions. Here too is another reason to ensure that we look at reducing carbon emissions from all sectors. It is pointless trying to point the finger at the sector which has the most emissions and ignore the rest. Doughnuts and cake. Here comes my favourite part of the article which truly demonstrates that Ms Clarke has no knowledge of climate change. She tells us that planet earth pumps 186 billion tons of carbon into the atmosphere every year and that the contribution from fuel only amounts to 0,003% of the total CO2 released into the atmosphere. It is a well-known fact that the earth, through various processes, emits carbon dioxide. It also, through an amazingly efficient and delicate ecosystem captures that carbon dioxide through trees, plankton and other measures. The problem comes in when, through human activity, this balance is lost and far more carbon dioxide emissions are being added to the atmosphere through burning fossil fuels. I would again like to refer to my diet analogy: it is like saying that because our bodies use up 2000 calories every day we can therefore eat an extra 200 on top of what we eat normally and not put on any extra weight. Before the Industrial Revolution the concentration of Carbon Dioxide (CO2) in the atmosphere was 280 parts per million (ppm). The current level of CO2 is 387ppm and is rising fast. In the last 20 years alone CO2 concentrations have increased by 20ppm. The current scientific consensus is that CO2 levels need to stay at 350ppm to avoid a 2 degree increase in global temperatures. 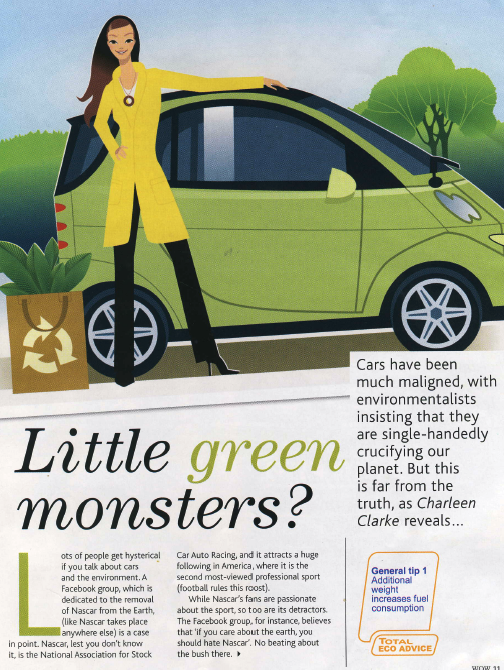 Ms Clarke ends the article by saying: “one thing is for certain: the cars we drive – both now and especially in the future – are not little green monsters”. Ms Clarke is clearly not qualified to write articles of this nature and the position that she attempts to present is factually inaccurate and irresponsible and the arguments used to support her position make no sense. I intend publishing this complaint letter on our Blog next week so if you have any comments please could you let me have them before then so that I can publish them along with the letter of complaint. Green Goal or Green Wash? 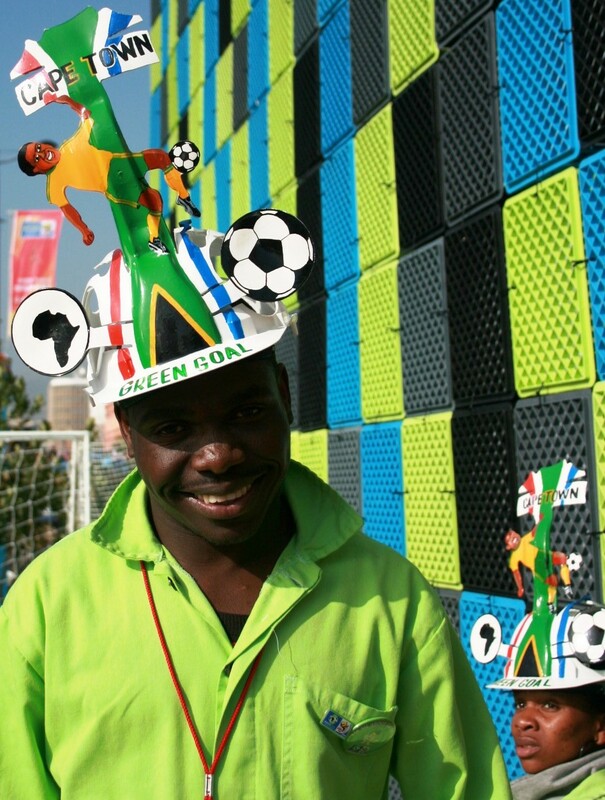 Brenda and I were invited to attend the FIFA World Cup Green Goal exhibition centre in the fan park at the Grande Parade in Cape Town last week. 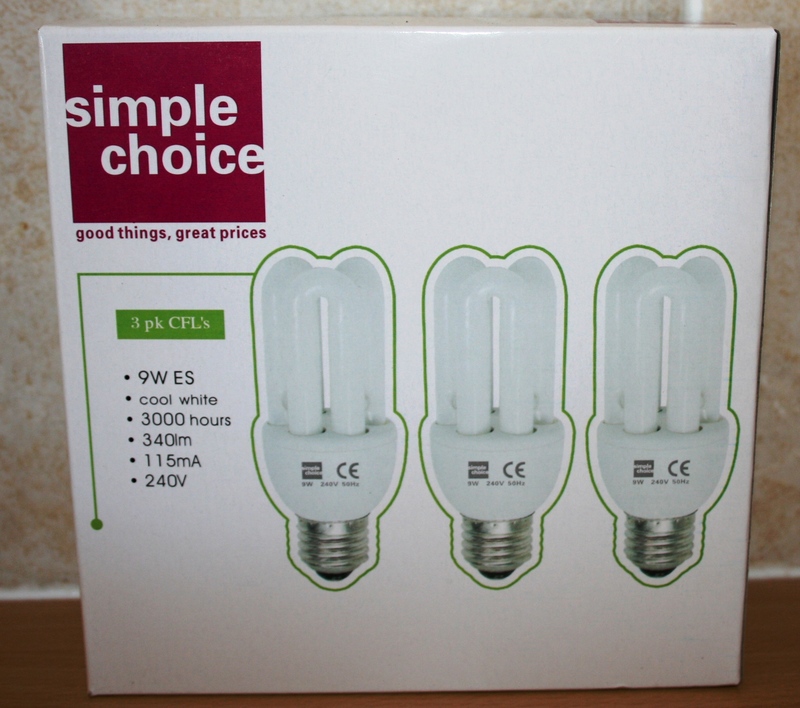 I went along feeling quite skeptical, as one tends to be when large multinationals start boasting about their eco-credentials. What I wanted to know was: was FIFA really implementing valuable sustainability programmes that would result in a reduction in carbon emissions and, would they continue after the World Cup had ended, or was this no more than a great big PR exercise? I was particularly concerned after reading an article in the Engineering News which explained how three initiatives under the ‘Reducing the carbon footprint of major sporting events, FIFA 2010 and the Green Goal’ Project had been launched. The three initiatives were Greener Lighting to World Cup Host Cities, Green Passport and offsetting teams’ emissions. I became quite excited when I read that these initiatives received $10million between the Global Environment Facility (GEF), Unep and the Department for Environmental Affairs. Although the three initiatives sounded great, on closer inspection I discovered that it only included twelve billboards being switched to solar power; 60 solar traffic lights and 78 streetlights upgraded to use solar power. It also included offsetting team player’s flights and the handing out of a “green passport” eco information leaflet to football fans. Pretty meagre when you look at the budget they received! What is also interesting to note was that this year the FIFA family itself and the Local Organising Committee has not made any contributions or committed to offset their emissions. They did however do so at the previous World Cup. The 2010 World Cup is expected to generate 2,7 million tons of GHG – around eight times the footprint of the 2006 Germany World Cup. Only 11 of the 32 participating teams have agreed to offset their emissions this year. The carbon footprint of hosting the World Cup in Cape Town is around 180 000 tonnes of CO2. 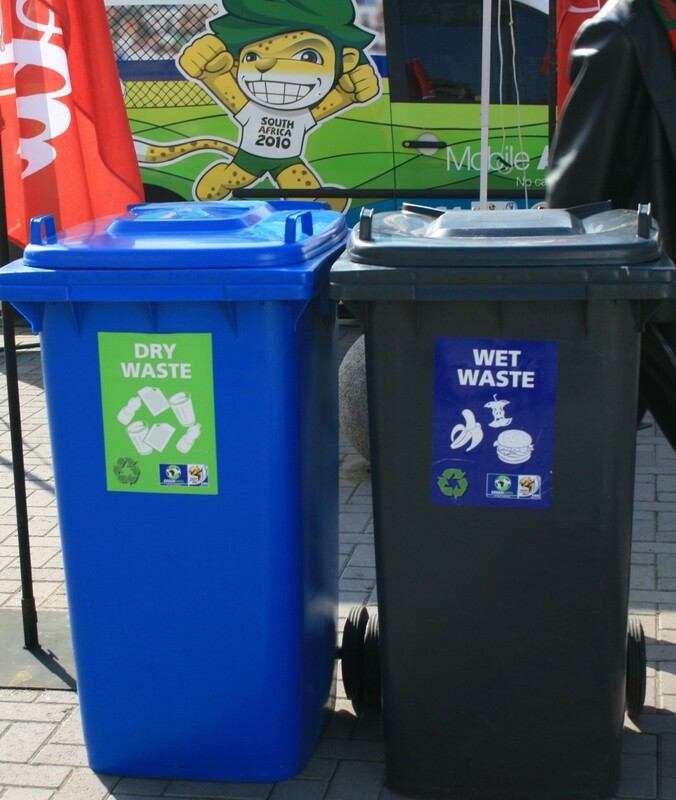 The determination of the carbon footprint of the event is an essential starting point and it seems that the City of Cape Town, with the Green Goal programme, has implemented some great programmes to reduce this footprint. One excellent initiative which must be mentioned is the Cape Town Green Map. This interactive map, available on-line and in print, gives a comprehensive list of all things green in the city; green spaces, nature reserves, organic eateries, farmers’ markets, recycling drop-offs, sustainable living projects, eco products and other green choices useful to tourists and locals alike. Visit their website for more information: http://www.capetowngreenmap.co.za/ There are however concerns that once the World Cup is over there will no longer be funding for this excellent project. 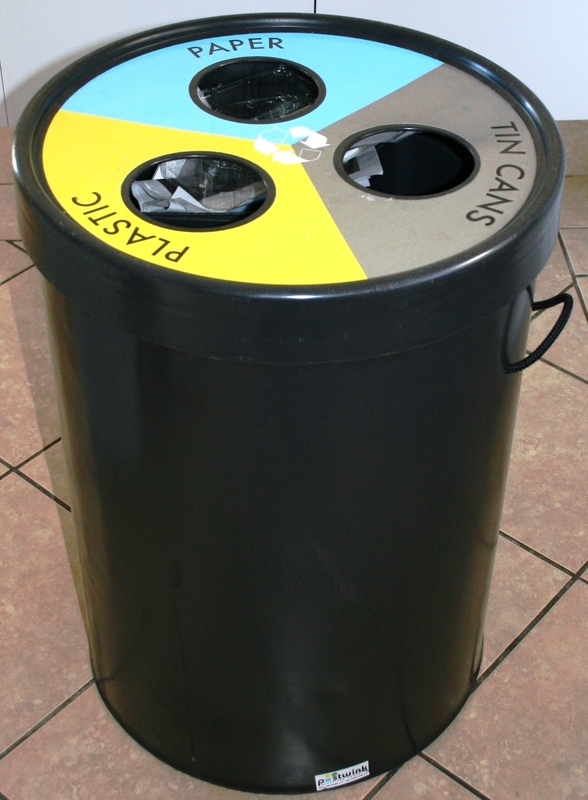 Recycling bins can be seen across the city centre allowing people to separate their wet and dry waste. The dry waste is sent to Athlone where it is sorted for reuse and recycling. 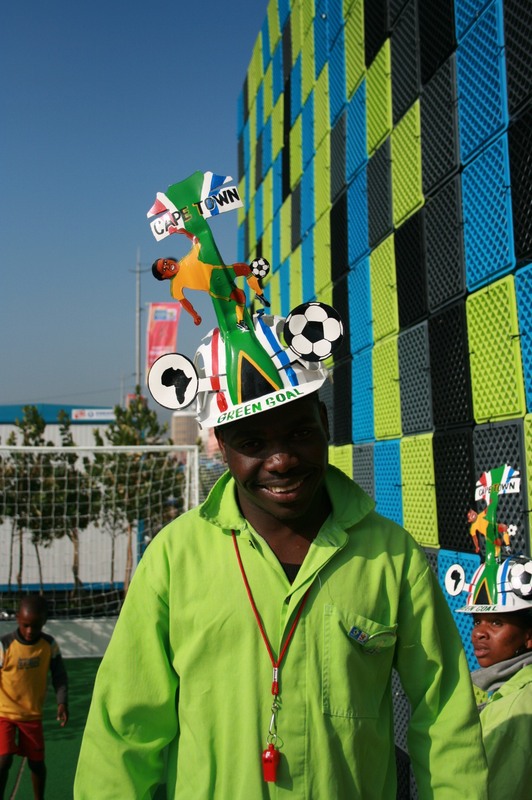 Cape Town set a target for 20% of all waste from the World Cup to be recycled or reused. Project 90 has confirmed that this excellent recycling initiative will continue after the World Cup – and let’s hope that 20% will increase. 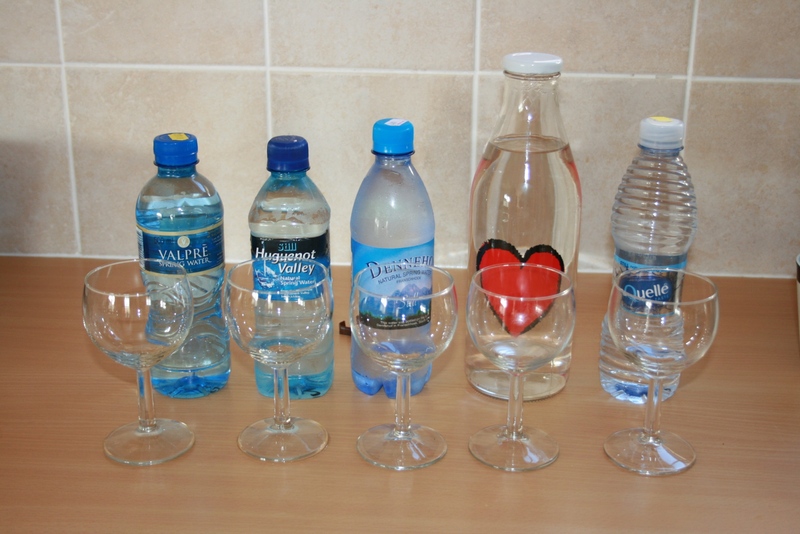 Another Cape Town initiative is promoting the drinking of tap water (Cape Town’s drinking water meets the highest international standards) and taps have been installed along the fan walk and at the fan fest. Although these will not remain in place after the World Cup they will be used when other events are planned in the city. Videos promoting Cape Town’s safe tap water have been shown on the big screens at the Fan Fest throughout the tournament. Greenpoint stadium was fitted with water saving technologies and collects rain water on the roof . Spring water from table Mountain is being used to irrigate the green spaces around the stadium, which previously ran straight out to sea. This rain water and spring water will also be used to irrigate the nearby golf course instead of potable water. So, in conclusion I was most impressed with the City of Cape Town’s Green Goal programme, but a careful watch must be kept to ensure that these programmes continue now that the World Cup has ended. On the other hand, I am less than impressed with the Greener Lighting to World Cup Host Cities programme. The fact the FIFA is not making any contributions or committing to offset their emissions this year is a deplorable state of affairs. 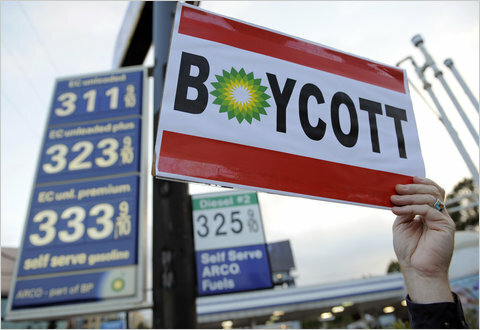 International calls to boycott BP due to the ongoing horrific impacts of the oil spill in the Gulf of Mexico have grown rapidly over the past few weeks. But which petrol supplier would one select instead? Oil companies exist because we are dependent on them. The time has come to begin to explore ways to wean ourselves off oil completely. In order to wean ourselves off oil we have to begin by looking at how we move around – what are the alternative forms of transport available to us? When we need to be somewhere do we simply hop into the car or on a plane or do we consider all the many other alternatives available first? 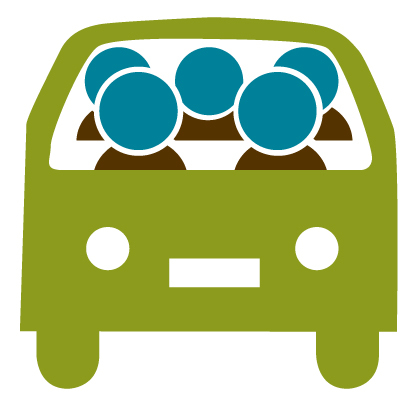 These include walking, cycling, using public transport, skype meetings, teleconferences, combining purposes to minimise emissions, car-pooling… There are so many options available, if we could just shift our thinking so that cars and planes become a LAST resort. At Project 90 we have implemented a few strategies to cut our travel emissions over the past 3 years — [Read more on the ‘about us’ section of this blog] — we know that it is possible to live and work well without being dependent on oil for getting around. In fact it is possible to live better – getting fitter, taking time to think while getting from point A to point B, actually seeing parts of your town you would otherwise miss, getting to know fellow citizens – by using public transport, walking or cycling for day-to-day mobility. All major cities in South Africa have achieved improved public transport through the hosting of the World Cup, yet we are told that these services will not all automatically remain once the event ends. What a great legacy it would be for the World Cup if South Africa’s public transport is greatly improved for the benefit of all in the long-term. We challenge you to think creatively about how you could wean yourself, your family, your company – off oil and start taking action today. The author of an article in Newsweek says: “Consumer boycotts of the latest oil company to run afoul of public opinion are emotionally satisfying but ultimately futile.. But to find the ultimate culprits, look in the mirror. Oil companies are drilling because of ..the world’s insatiable lust for oil”. Read the article here. Andreas Spath, a columnist for News24, takes a look at all the oil companies in South Africa to see which one is the best, or should we say ‘least-worst’! He finds that Engen is the most ethical choice when it comes to filling up your tank, but reiterates our point: “The petroleum business is dirty and so are the organisations that run it. All we can do is choose the least tainted company in a thoroughly rotten bunch. What we really need is a way of living that doesn’t depend on oil in the first place.” Read his article here. 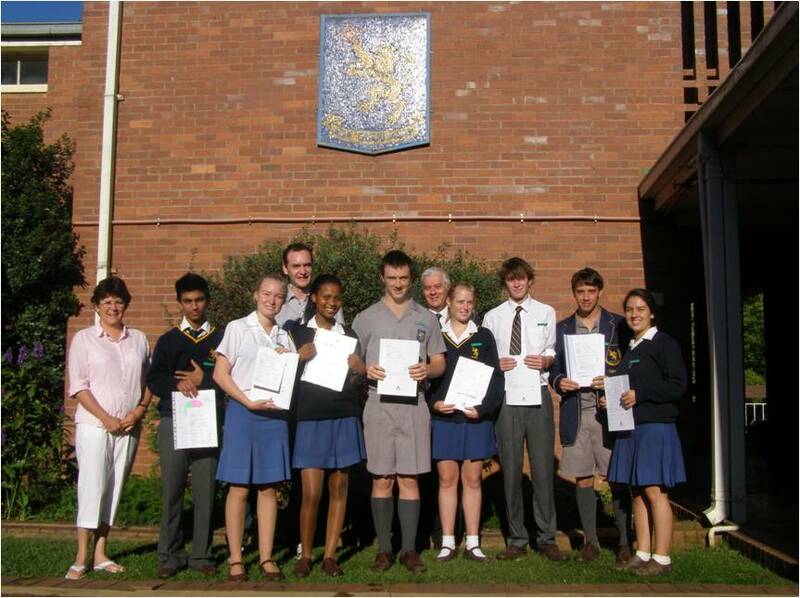 Learners from Howick High have come up with a host of great ideas and easy-to-do suggestions of how to live differently to better protect and sustain our environment. Ditch “bottled water” – use a re-usable water bottle and “in-home” filtration systems that make tap water a good choice. Education of people and word of mouth example. Join organisations that campaign for a cause. If you have any other ideas to add to this list, please leave a comment below.